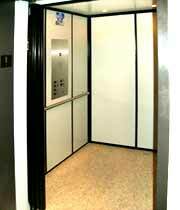 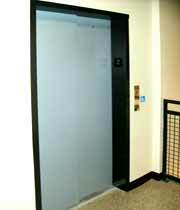 Summary: This elevator is a standard Style 1L Elvoron LULA with mild steel sliding doors, standard laminate walls and brushed stainless steel fixtures. 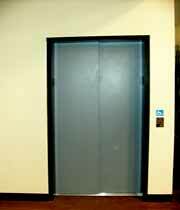 The doors are supplied primered and ready to paint. 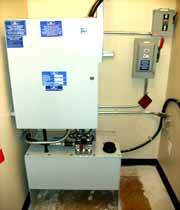 The hydraulic pump and electrical controller are located in a machine room. 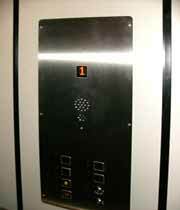 This is space dedicated to the elevator equipment, typically situated directly behind the rail support wall at the lowest landing.